We’ll have part two of Durita Holm’s interview in a few days, but first, we take a moment to wish ourselves happy birthday. 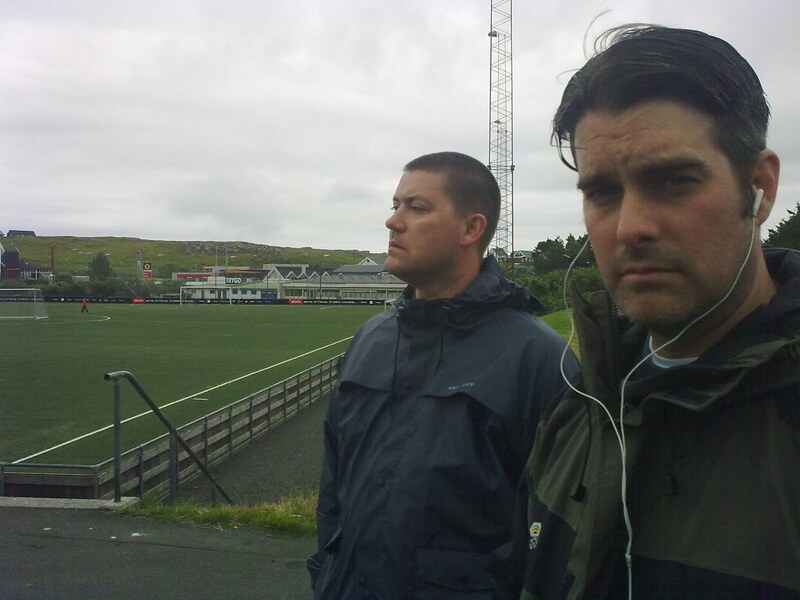 The Faroe Islands Podcast turns two this week, so we (Tollak and Matt) sit down to discuss the origins of the show and remember our favorite moments of the past two years. The show is that conversation, presented with minimal editing. It’s our little birthday present to you. Anyone who listens will understand the significance of the less-than-flattering photo at the top of this post. And while we’ve got your attention, let’s highlight a serious oversight during the discussion. We listed some of our favorite interviews of the past two years, but neglected to mention the show featuring Stanley Samuelsen. It wasn’t really an interview show, so I guess our minds didn’t register it as an interview. But it’s among our favorite things we’ve ever done, and we should’ve mentioned it. Also Marius. He did a great performance for us in 2009. If you haven’t heard it, you should go back into the archives and find it. It’s excellent. So happy birthday to us, and thanks to all of you for listening to us and telling your friends about what we do. Our audience has grown a lot in the past two years, and it’s almost all through word of mouth. Thank you. As always, you can listen to this show on iTunes or download it directly using this link. Note: Because part two of Durita Holm’s interview will post in a couple of days, this show will only be up on our media player for about 48 hours. If that’s how you like to listen, might we suggest you do it now? This week, we talk to Birgir Kruse about the migration patterns of Faroese people and how they compare to those of salmon. Plus, we head off to the cold beach at Hvalba and make a sour face (pictured above). Also, we listen to some artists playing this year's G! Festival. While recording some natural sound in the village of Æðuvík, we struck up a conversation with a man who was walking by. That brief chat forms the core of this week's podcast. We talk about New Year's Eve, sheep shearing, and brutal winter weather.